We last saw actor Warren Brown in his role as Luther's trusted sidekick DS Justin Ripley in 2011. Since then he's starred in BBC dramas such as Inside Men, Good Cop and ITV's army drama Homefront. I recently spoke to Warren about what we can expect as Luther returns for a long awaited third series. It's been almost two years since we last saw Luther on screen. Did you find it easy to pick up where you left off? I was kind of surprised how easy it was. We'd had a year off because Idris was doing films and it worked out well because I did Good Cop in the interim. It was great to get the costume on and get the whole team back together. Ripley has his own storyline this series. Was it good fun to step outside of Luther's shadow? Yeah he's always been the sidekick so I never see it as a bad thing that he's in that shadow. Certainly this year it was interesting because he's put under so much pressure and forced into doing things that he doesn't want to do. The characters have grown a lot this year. 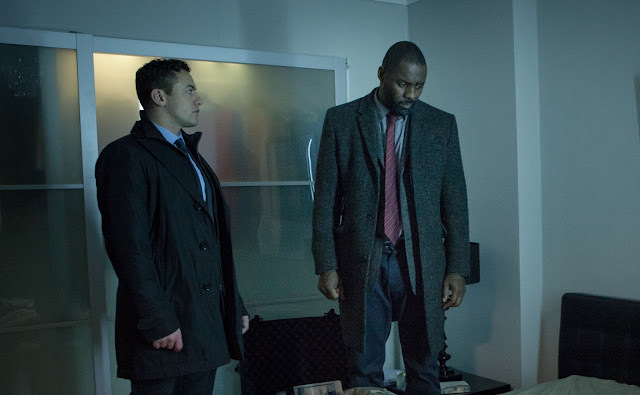 Idris said recently that filming Luther can be quite bleak because you're often filming at night and it's cold and miserable. Is that your view as well? Yes we always film in the winter so we're often in the coldest and most bitter conditions. The show lends itself to that and it's great that it looks mean and moody. The show deals with a lot of dark issues and it can send you a bit mad being in that world for such a long period of time. We've got a great crew and Idris and I muck about a fair bit on set. You've kind of got to. It's almost gallows humour as we're working with such dark stuff. Does filming the darker elements of the series ever affect you as an actor? Not so much for me. Idris is in the mind of the character all day. When I did Good Cop I had a similar experience as that character was never off screen and so you're in it all day then you come home and you're still in it because you're looking over your scripts for the next day. 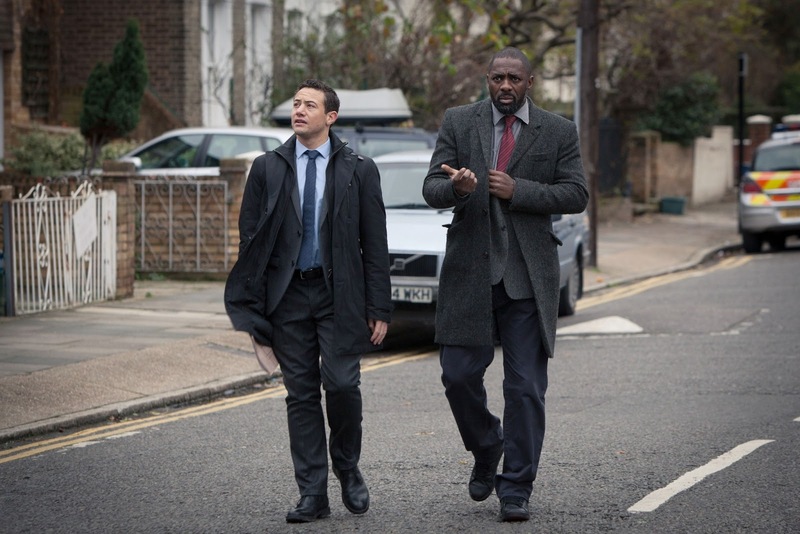 Did you ever consider not returning to Luther for the new series? Absolutely not. When I picked up the script for episode one of the first series I knew that Neil Cross's scripts were fantastic so to come back and work with Idris again and Sam Miller who directed the first block was great. So no, absolutely no hesitation whatsoever. One thing that struck me about this opening episode is the humorous banter. Did you feel that when you read the scripts? Yeah. There's definitely been more humour injected into this series. Since the first series Idris and I have become really good pals. We knockabout together when we're not at work and that definitely helps as we have banter between each other in real life. I've done a bit of research and spoken to police officers for Luther and Good Cop, and being out with them you see they that they have a great banter between each other. They have to really because they can't be affected by what they see day in and day out. You said you knew the initial scripts were good, did you think you'd still be making Luther all these years later? I thought it was fantastic and from the moment I read it I thought wow I want to get this job, but you never can tell what's going to go again and what isn't. I kind of thought Good Cop was gonna go again but circumstances changed so you can really never tell. I treat every job as a fantastic opportunity and in the case of Luther it was great to able to get another series to explore that world again. It's a shame we only get four episodes in a series. Is that down to it being so difficult to get everyone in the same place now? Idris is busy off doing a lot of things, Neil Cross has become increasingly busy since the success of Luther. For me I'd rather be in four episodes of real quality like this and it's always nice to have the audience wanting us to do more. You spoke about Idris having a busy year, but you were in two of my favourite dramas of 2012 with Inside Men and Good Cop. What draws you to a project? I look at a script and I know immediately whether I like it or not. If I don't like it I'm probably not going to finish it and I'm certainly not going to do it. I want to do jobs that I'd watch if I wasn't in them and certainly Luther was something I knew I wanted to be in and I'm a massive fan, same with Inside Men and Good Cop. Do you feel there are still a lot of good roles in television for you to get your teeth into? Absolutely. Just when you think you've read everything something will come out of the blue and you'll say wow. There's so much talent in this country and I'm looking to do roles that are different and exciting. You mention in your Twitter profile that you once owned a pet monkey. I would be doing a disservice to anyone who reads this interview to not ask you about that. (Laughs) Yep, I had a pet monkey when I was a kid. My Grandad owned an exotic pet shop so we had a lot of weird and wonderful animals and I had a monkey. I'd love Ripley to get a monkey. That would be a real challenge for Luther. That would be amazing wouldn't it! You're currently working on a new BBC1 drama called By Any Means. What can you tell us about that? It's of the crime genre again but the character and the world is very very different. They're not police. It's their duty to get the criminals the police can't catch and their brief is to capture them by any means. It's very different. Great to hear from Warren. Not much Luther press is done so this is a real treat. Thankyou.